Please read the important information below before connecting any Apollo 16 (silver) and/or Apollo DUO/QUAD (silver) to Apple Mac Pro (Late 2013) computers. 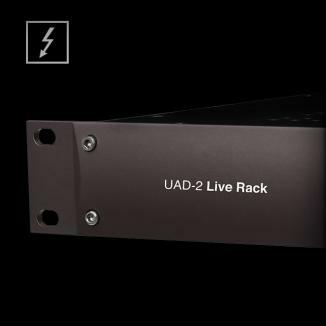 Click here for information regarding updating UAD-2 OCTO PCIe firmware for compatibility with the Late 2013 Mac Pro. Note: This article does not apply to Apollo 16 mkII. 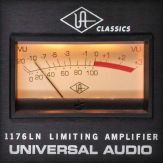 UAD v7.5.0 and higher includes firmware for Apollo 16 (silver), Apollo DUO/QUAD and UAD-2 OCTO PCIe that enables these devices to be recognized by the new Mac Pro (Late 2013) when connected via Thunderbolt. 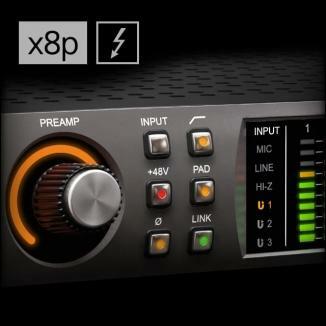 The initial firmware update in UAD v7.5.0 and higher that enables new Mac Pro Thunderbolt connectivity must be performed while connected to a computer other than the new Mac Pro. 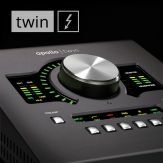 Exception: This initial firmware update may be performed using the new Mac Pro, with Apollo devices only, when connected via the Apple Thunderbolt to FireWire Adapter. The initial firmware update can be performed on compatible Mac systems (other than the new Mac Pro, as above) via FireWire or Thunderbolt, or compatible Windows 7 systems via FireWire. 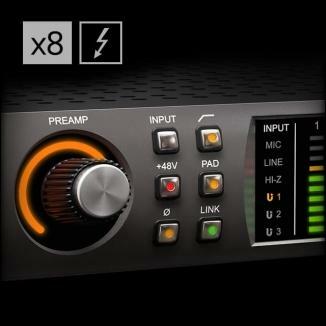 Subsequent firmware updates can be applied from the new Mac Pro as usual when connected via Thunderbolt or FireWire. 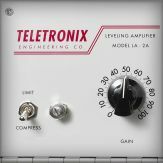 Apollo 16 (silver), Apollo DUO/QUAD, and UAD-2 Satellite (FireWire models) are compatible with the new Mac Pro (Late 2013) via the Apple Thunderbolt to FireWire Adapter. 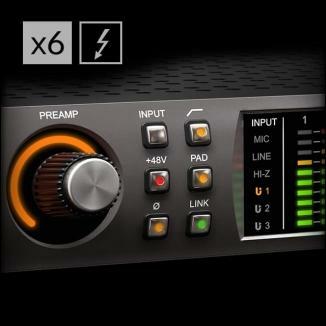 The initial firmware update that enables Thunderbolt connectivity to the new Mac Pro can be performed via the new Mac Pro when connected using the Apple Thunderbolt to FireWire Adapter. 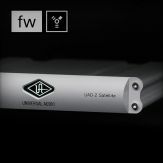 UAD-2 OCTO PCIe cannot be connected to the new Mac Pro via the Apple Thunderbolt to FireWire adapter (including when used with a compatible Thunderbolt chassis). 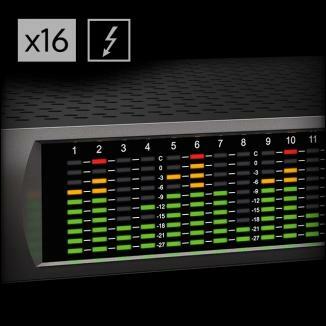 Follow the procedures below to update UAD devices for Mac Pro (Late 2013) compatibility. Note that the procedures below are shortened for those familiar with UAD operation to get going with the new Mac Pro quickly. 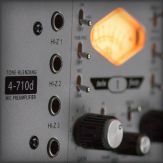 Using standard UAD methods, install/connect with UAD v7.4.2 or higher on any compatible computer (Mac or PC) EXCEPT the new Mac Pro. 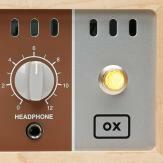 Update the firmware on the UAD device when prompted by the UAD software. 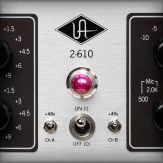 Note: After installing the software, restarting, and verifying the UAD device is connected and powered, you may need to open the UAD Meter & Control Panel application to get the firmware update prompt. 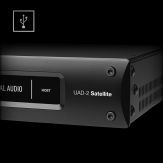 After the firmware is updated, the UAD device will be recognized by, and can be used with, UAD v7.4.2 or higher on the new Mac Pro. Connect the Apollo device to the new Mac Pro with the Apple Thunderbolt to FireWire Adapter (do not connect with the Thunderbolt Option Card) and apply power to Apollo. 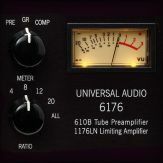 Using standard procedures, install UAD v7.5.0 or higher on the new Mac Pro and restart. 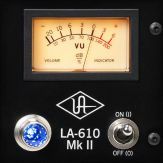 Open the UAD Meter & Control Panel application by clicking its icon in the Mac OS X Dock. 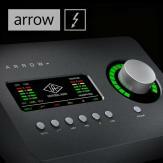 When prompted by the UAD software, update the Apollo firmware. Be sure to turn off Apollo after the firmware is installed on the device. 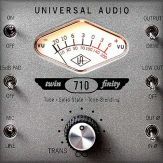 After the firmware is updated, the UAD device will be recognized by, and can be used with, UAD v7.4.2 or higher on the new Mac Pro when connected via the Apple Thunderbolt to FireWire Adapter or the Thunderbolt Option Card.